Did you know that Americans spent $20.1 Billion on V-Day gifts for friends, family and lovers alike in 2018? Wow…that’s a lot of love going around! Whether youLOVE it or find it a complete waste of time, it goes without saying everyone appreciates a token of love & appreciation during the month of February! 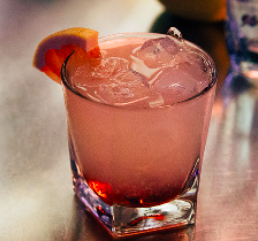 This year consider Valentine’s Day gifts for men or women as well as some easy-at-home cocktail recipes to help spice up the night! At $25 Hampton Water is an affordable luxury – perfect for starting a sinful night-in with your beau. 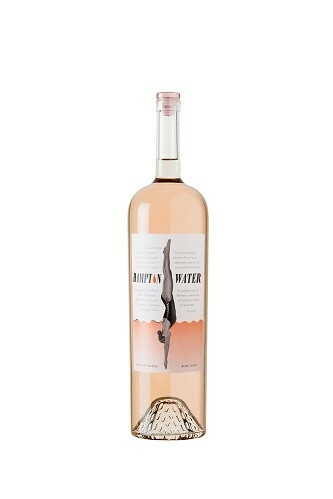 Award-winning music icon, Jon Bon Jovi, Jesse Bongiovi, and acclaimed French winemaker, Gérard Bertrand has launched a rosé wine label, Hampton Water.Ranked #83 on Wine Spectator’s Top Wines of 2018, it was one of the top rose wines of the year last yearbeing one of only two roses to receive a rating in the 90 point range in Wine Spectator. The wine is described as a fresh and lively rosé, with distinctive minerality, featuring Grenache, Cinsault and Mourvèdre, grape varieties characteristic of the French Mediterranean region. Inspired by the love affair of two Italian Immigrants–the Maddalena wine brand of Riboli Family Wine Estates is an emblem of love between Maddalena & Stefano Riboli. When Stefano first set his gaze upon Maddalena on a tractor in California, he instantly knew he was going to marry her one day. After winning slowly winning her over and by making her the visionary of Riboli Family Wine Estates, the Riboli Family created a Maddalena vineyard just for her to showcase her passion for love & winemaking. 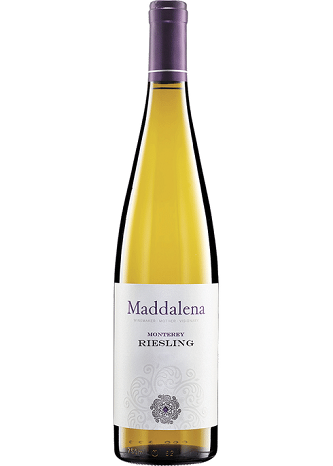 Maddalena Chardonnay greets the nose with an array of ripe fruit aromas, including citrus, guava, and orange peel. The round mouth shows depth and body complemented by forwarding flavors of tropical fruit. 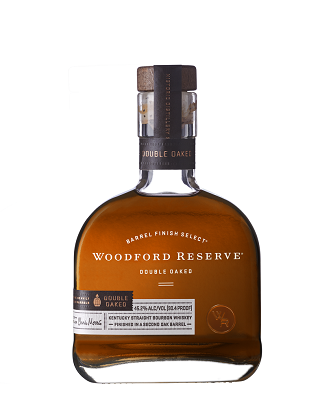 A touch of spicy oak adds complexity. Balanced acidity creates structure and a long, complex finish. Shipments include an array of specialty Californian and Italian wines, such as America’s #1 imported Italian wine, Stella Rosa and Riboli’s other offerings such as Maddalena, San Antonio Winery Specialty, La Quinta and more. 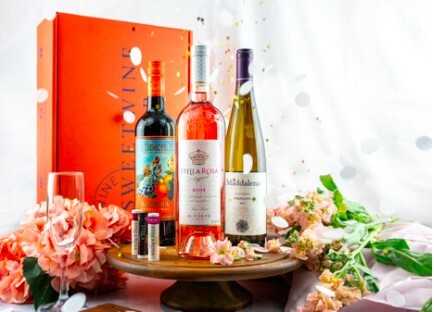 Each Sweet Wine Club box will consist of three hand-selected bottles and will be delivered to the recipient’s doorstep, ensuring their home is prepared for any celebration! With the option of annual membership or simply a one-off for the occasion, and priced under $50 – this is an opportunity not to be missed. Each Sweet Wine Club box is filled with additional goodies such as food pairings recipes, chocolate covered strawberries, and fun gifts – and of course, shipping is always FREE. The Riboli Family want to give everyone a taste of the sweet life thisValentine’s Day! Proper No. Twelve is an Irish whiskey launched in September 2018 by MMA champion, entrepreneur, family man and philanthropist, Conor McGregor. 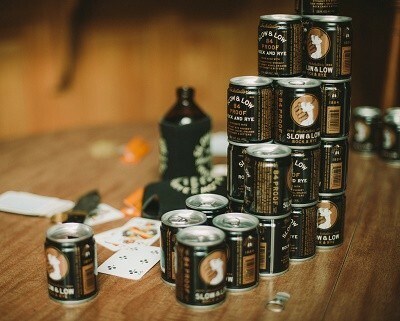 The brand and its name were inspired by McGregor’s love of Ireland, its people, and Irish whiskey. Proper No. 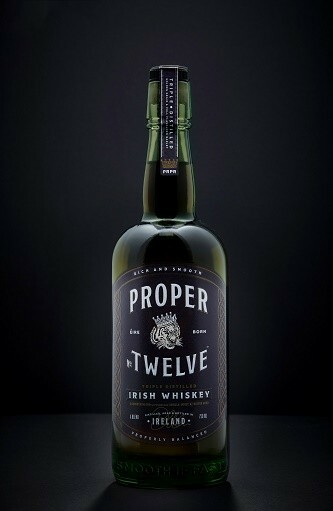 Twelve is a blend of Ireland’s finest golden grain and single malt whiskey. It is produced in an area known for its rich soil and pure spring water. Proper No. Twelve is triple distilled and aged in oak barrels delivering a taste that is smooth and approachable with hints of vanilla, honey-like sweetness and toasted wood. For each case of Proper No. Twelve that is sold, $5 will be donated to local first responder organizations, up to $1 million annually. Tequila Avión is produced with third generation agave growers from single source rare Blue Weber agave from Jesus Maria in the highest region of Jalisco, Mexico. The distinct flavors are created slowly in small batches using a meticulous, time-intensive distilling process and proprietary ultra-slow filtration Tequila Avión is available in Silver, Reposado, Anejo and Avión Reserva 44 Extra Anejo ($150.00) – each providing rich flavor to elevate your cocktails. Tequila Avion’s Reposado is a small batch highland agave forward tequila that has been aged for a total of 6 months (3x longer than industry standard). With notes of warm spices and dried fruit like cherry, peach, and pear. It packs a punch with its 40% AVB, but because it’s made with single-origin agave the fear of a hangover completely dissipates! Tequila Avion’s new red canister not only makes for a high-end offering but also prevents any time wasted on wrapping anything! Now you “can” crack open an 84 proof, straight rye whiskey cocktail on-the-go! First-ever high quality, high proof cocktail in a 100ml can.This TSA approved-sized can is perfect for sneaking into the movies with a REAL cocktail on date-night! 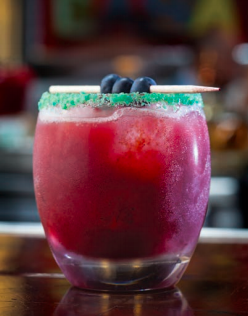 Valentine’s Day Cocktails to have a SINFUL night! 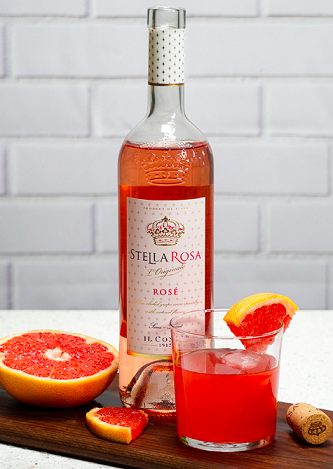 In a shaker with ice, combine whiskey, Stella Rosa Rosé, and grapefruit juice. Directions: Build ingredients over ice in a glass, stir ingredients to chill and garnish with a lime wedge. Fill shaker with ice. Measure and pour all ingredients into the shaker. Shake well, and pour entire contents of shaker into a garnished bucket glass.